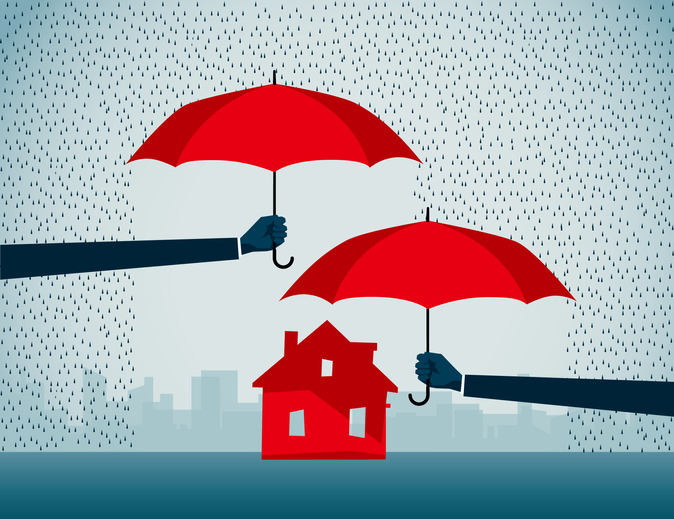 (Family Features)--If your homeowner insurance rates are creeping up even though you haven't filed any claims, it may be time to take a look at how you can bring those prices back down. Shop for the best rates. It's easy to be complacent when you've used the same insurance company for years, but if getting the best rate is your objective, it's a good idea to shop around. To do effective comparison shopping, have a copy of your current policy ready and contact a handful of competitors. Provide them the exact same coverage details so you can compare like rates, but also be ready to listen to information about additional coverage options that may suit your needs. Combine homeowner insurance with other policies. Most insurance carriers offer multiple policy discounts, which they apply when you insure more than one item. For example, if your homeowner insurance carrier also insures your cars, you're likely to save money on the rates for protecting both your home and automobiles. Update your home's first line of defense. Many homeowners focus on aesthetics when it's time to make upgrades, but there are some important functional improvements that can make a difference when it comes to your insurance premiums. For example, as extreme weather becomes more commonplace, the first line of defense is often the type of roofing material chosen. Many insurance companies even offer discounts for using impact-resistant shingles. Check with your insurance provider before making a final selection, but in general, look for products that include "impact-resistant" in their name and specs, and "Class IV Impact Resistance," the highest rating available for roofing materials. Install a home security system. An intruder alarm can provide more than peace of mind. Insurance companies often reward homeowners who take steps to minimize the chances of burglary or vandalism. After all, a well-protected home is less likely to result in a claim for losses. Some companies offer varying degrees of discounts on insurance rates depending on the type of system you install, so be sure to thoroughly research the options. For example, a system that simply emits a loud noise when triggered may generate one level of discount, while a system that dispatches emergency personnel when activated can lead to an even better rate.